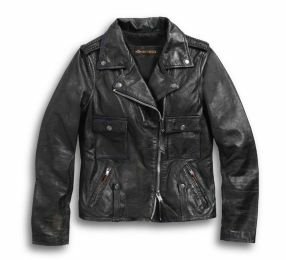 Kick off spring or fall with Harley-Davidson women's casual jackets. Whether it's a classic jean jacket, or nylon or cotton, you can count on adding a layer of biker chic to whatever you may be wearing. 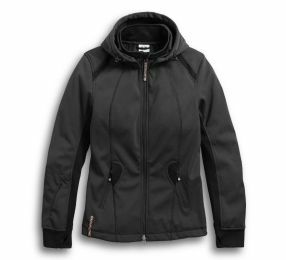 H-D® women's 3-in-1 jackets made to be multi season jackets; two coats, removable liner and cozy vest. Fashion and functional, these jackets help control your temperature. Thinking of a smarty, sporty or more chic style? 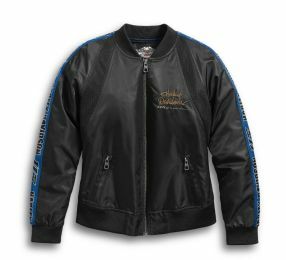 H-D® women's casual jacket is the answer! Perfect for outdoor activities, pick your choice from synthetic suede, denim and fleece. Thinking biker clothing can't say 'warm & fuzzy'? Think again. 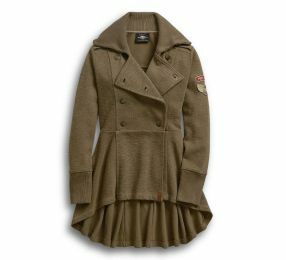 Harley's women's fleece jackets will keep you warm while still showing off your Harley pride. Wear to impress? 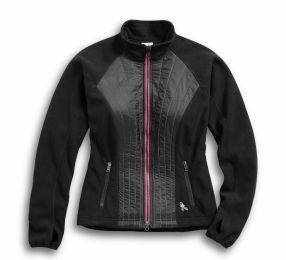 Women's H-D® leather jackets made even more pizzazz from sleek of elegance to detailed edges. Add this to your riding and casual wear collections. 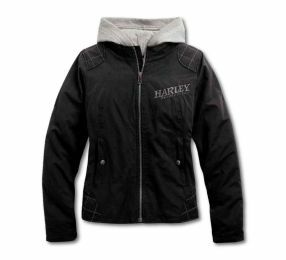 There's nothing soft about Harley's women's soft shell jackets. Well, maybe the material, but it's all in the name of comfort. Show off your inner biker with one today.